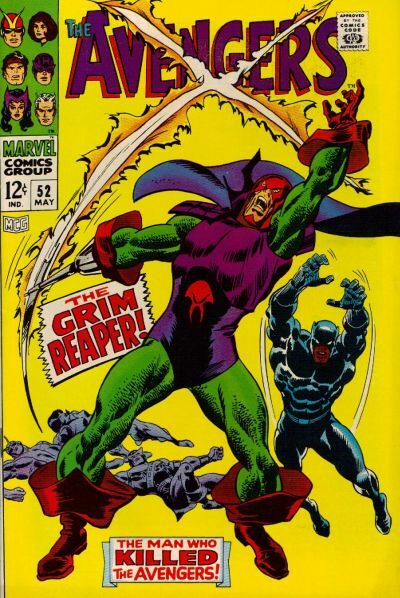 Click Here To See Avengers #52 Comic Book! 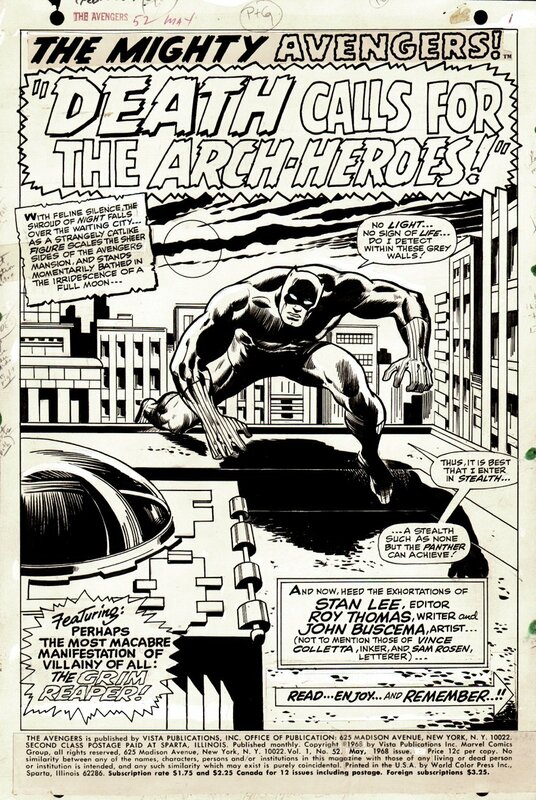 Check out this very nice 1968 Avengers SPLASH, which was penciled by the great John Buscema and inked by Vince Colletta, from the story titled: "Death Calls for the Arch-Heroes!" This nice SPLASH features an INCREDIBLE image of the Black Panther as he scales the top of AVENGERS MANSION, with very detailed New York building and night skyline behind him. Just a great opportunity here to own a NICE Silver Age Avengers splash by the great John Buscema! ALL HIGH end pieces of art, including this one, are able to be purchased with VERY fair time payment plan options, and trades are always considered towards this and "ANY" art on our website! Just send us an email to mikeburkey@aol.com and we can try to work something out.